Highlander used to be a member of the swim and water polo teams in high school and college. So his favorite Summer Olympic events to watch are any aquatics competitions (although he likes watching the other sports, too). Islander isn’t so keen on athletics but she enjoys the excuse to make theme food for event watch parties, especially the Olympic opening ceremonies! For the last Winter Olympics, she made medal cookies. 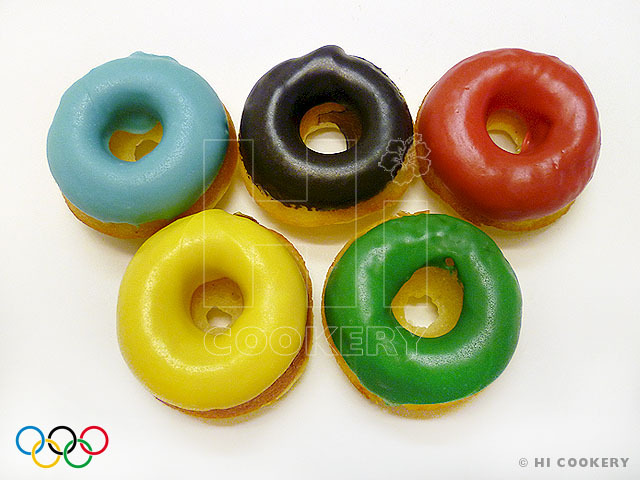 The Olympic mini donut rings are also appropriate for this season’s games. It is sweetly symbolic, representing the colors used in many nations’ flags. Add some colorful confections to the table for an Olympic watch party and make these delicious donut rings. They are fun and festive to gobble up during the games! 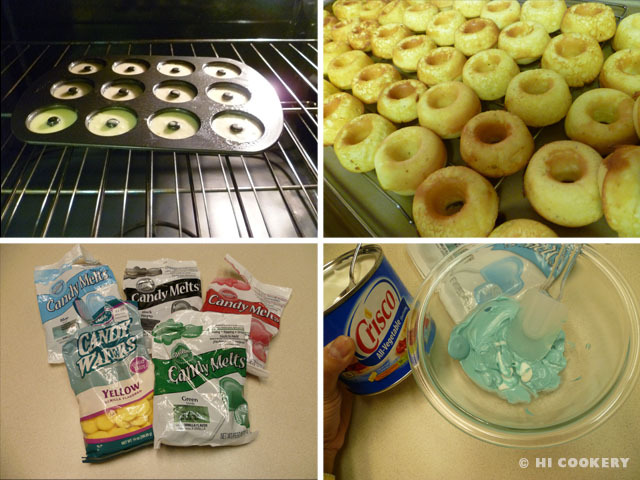 Mist the mini donut pan with cooking spray. 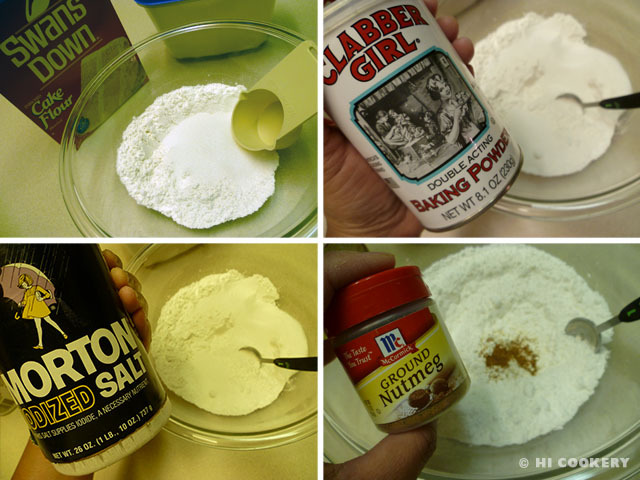 In a bowl, combine the cake flour, baking powder, salt, sugar and nutmeg. Stir in the buttermilk and beat in the egg. Mix in the melted butter and blend until the batter is smooth. 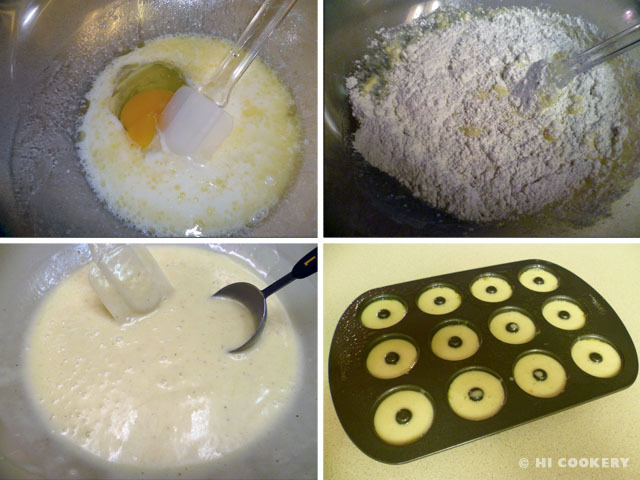 Put a tablespoon of the batter into each ring in the mini donut pan (do not fill more than halfway). Tap the bottom of the pan to level the batter. Bake in a preheated oven at 425 degrees F for only 6-7 minutes (the donuts will puff up). Remove from the oven and cool in the pan for 3 minutes. Transfer to a wire rack to cool completely. Melt the Candy Melts over a double boiler or microwave, adding a little bit of vegetable shortening to thin it out, if necessary. Use one color at a time (we started with blue, then black, red, yellow then green). Dip one side of the donut in each color of the Candy Melts. 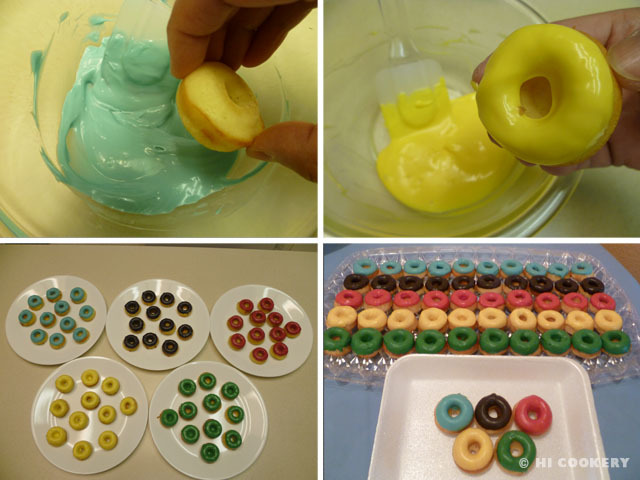 Twist and turn the donut while dipping it, letting the excess color drip back into the bowl. Place the donut on a plate or tray. Let the coating cool and harden. Display the donut rings in rows of the same colors or arrange a complete set of Olympic colors together on one plate. For an additional Olympic dessert, make medal cookies!